Today I like to introduce you to another great cruelty free skin care brand: Reviva Labs. For over 40 Years Reviva Labs has been producing all natural skin-care products that help leave your skin healthier and more youthful-looking and has never participated in animal testing. Claims: Helps makeup foundation last longer (safe under eye shadow, too). And COQ10 adds protective antioxidant action. 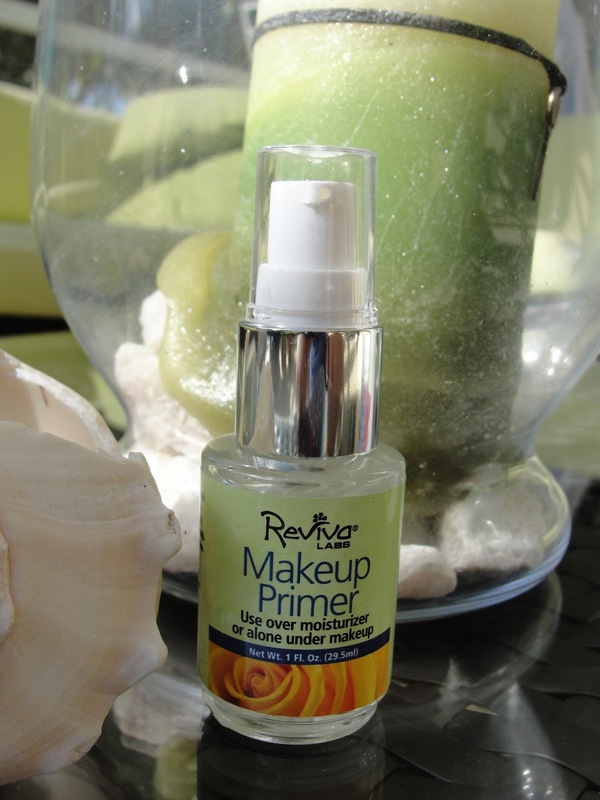 Our Makeup Primer is good for any skin type, even oily. You get the oil control you want, along with soft, supple skin. Completely fragrance-free and non-comedogenic. My experience: This gel like make up primer instantly smoothes fine lines and makes your skin feel wonderful silky. It fills even in some of my larger pores and gives me a wonderful matte finish. Recommend this highly- especially for oily skin! Claims: Reviva's microdermabrasion scrub helps retexturize skin and reduce the appearance of fine lines, wrinkles or rough skin by featuring gentle magnesium oxide crystals and pomegranate instead of abrasive aluminum oxide. Ingredients: Purified Water, Magnesium Oxide, Aloe Barbadensis Leaf Juice, Decyl Glucoside, Oleyl Betaine, Sunflower Oil, Sweet Almond Oil, Pomegranate Oil, Jojoba Oil, Rose Hip Oil, Panthenol, Allantoin, Extracts of: Arnica, White Tea, Calendula, Lavender, Chamomile Stearyl Alcohol, Glycerin, Sorbitol, Tocopherol Acetate, Phenoxyethanol, Ethyl Hexyl Glycerin. Cert ified Organic. My experience: This is a wonderful facial scrub that has the perfect gritty feel to it! I love to use it in the morning but also on my Sunday Spa Day (see video). This is the perfect scrub to use before your facial mask! See the Reviva Labs Microdermabrasion Pomegranate Scrub in Action! Ingredients: Rosewater, Glycerin, Aloe Juice, Polysorbate 20, Hyaluronic Acid, Tocopheryl Acetate, Vegetable Oil & Vitamin A (Retinyl Palmitate) and Vitamin B (Ergocalciferol), Fennel (and) Hops (and) Balm Mint (and) Mistletoe (and) Maticaria (and) Yarrow Extracts, Mallow (and) Ivy (and) Cucumber (and) Sambucus and Arnica Extracts, Trace Mineral Concentrate, Potassium Sorbate, Sodium Benzoate, Citric Acid. 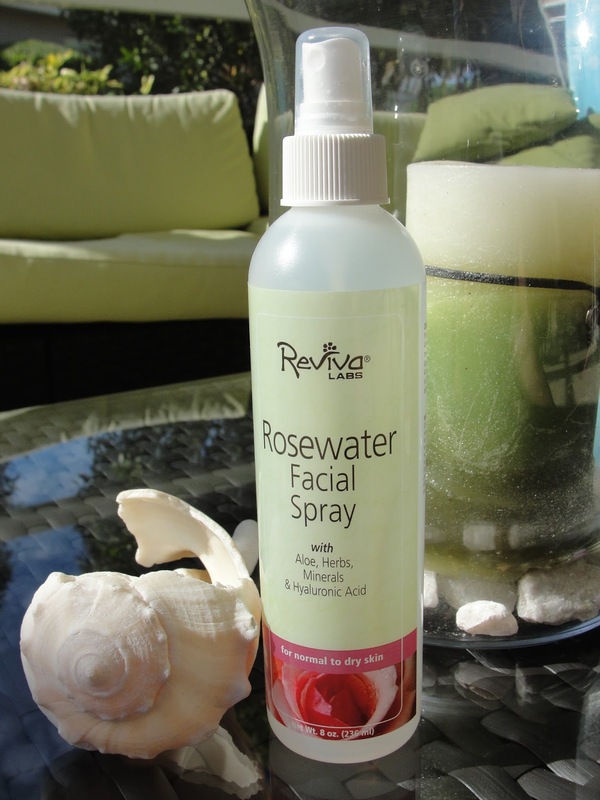 Reviva Labs offers a huge selection of skin care items. Now it wouldn´t be fair if I only show you these beautiful products without giving you a chance to try for yourself, wouldn´t it? So, here is your chance to win all 3 items for yourself! No option is mandatory, but the more steps you finish, the higher your chances of winning.